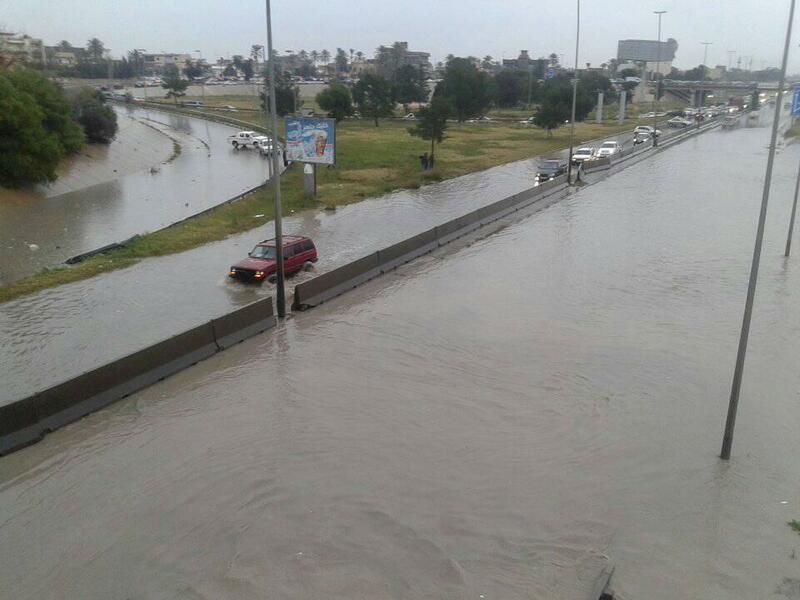 Heavy rain over the last two days has led to road closures in Tripoli (Photo: social media). Two days of wind and heavy rain have led to a number of main roads and parts of Tripoli’s motorway to be flooded and impassable. The bad weather has also affected the internet and mobile phones. Libya Herald had difficulty in keeping in contact with Tripoli and its Benghazi journalist was unable to get through to a colleague in the western region. The rains flooded a number of homes and commercial premises and left many cars stranded, full of water, in the middle of roads. Flooding and road closures has been a regular occurrence in urban centres, whenever there are relatively heavy downpours mainly due to blocked drains and poorly maintained infrastructure.